What are the Best Forms of Ear Protection? As we get older, we need to attend appointments with an audiologist to assess our hearing. These regular assessments can help us to understand how bad our hearing has become and whether we need appointments to fit hearing aids. While you are trying to make sure that you get the best possible hearing care, you need to work out whether your lifestyle is contributing to your hearing loss. You should work on protecting your hearing the best way that you can and sometimes that can come from investing some cash in good ear protection. Understanding the types of hearing protection out will help you make the best possible decision. They can be used in any walk of life, but those who work in factories or construction sites will know the benefits of foam earplugs. They are a cheap ear protection option as you can only use them once before disposing of them. They do well for those who like to attend music concerts, too, and are one of the most common options out there. You can get these in a variety of models, from those that click onto safety helmets to those you wear in the cold weather. Earmuffs can cover the ear completely without inserting anything into the ear directly. There is less of a risk of infection as nothing is placed inside the ear and they’re a good winter alternative. 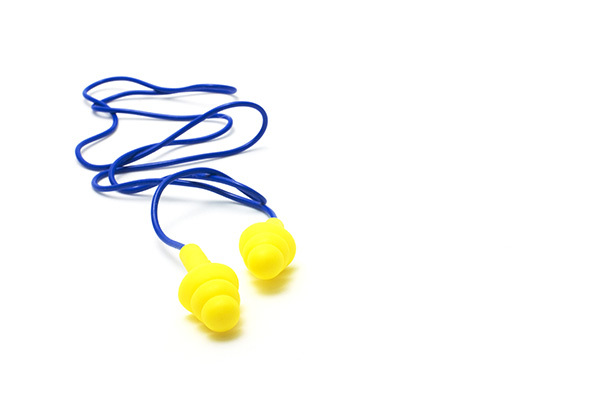 Similar to the earplugs mentioned earlier, these provide good ear protection without irritating the ear canal. You don’t have to insert them right into the ear and they are something that you would only use once. Buying in bulk can serve as good ear protection without breaking the bank. These are a customized hearing protection most often used by musicians and those with a penchant for riding a motorcycle. These fit perfectly and can last you for years and they have various muffler values. When you go to work every day with an environment that is filled with noise, it’s important to protect your ears. Not only is this going to be good for your hearing health, but you’re going to prevent the damage occurring in the inner ear that eventually leads to profound hearing loss. Speaking to an audiologist can help you to determine which ear protection is right for you, while also evaluating your exposure to loud noise. The right advice matters here, so ask the right questions and you can get the answers you need for the best possible hearing.